Local governments around Europe paid €7.6 billion to light public streets in 2015. But their bills could be cut down by up to 70% if local governments are willing to shell out extra funds to install new lighting. The European Commission is trying to help cities find funding—with the goal of setting up 10 million of the more expensive streetlamps around the EU by 2025. For now, there are only a handful of them in European cities. 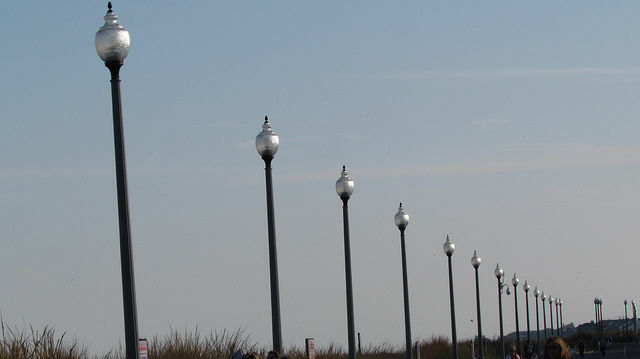 Lampposts with high-tech LED lightbulbs that connect to a database can tell operators when they need to be replaced or fixed, or whether they should be dimmed on a sunny day. Some streetlamps even come with Wifi, but their price tag is too high for many city governments. The Commission is pushing cities to put more money into internet-connected infrastructure. But officials working on the executive’s smart city strategy acknowledge that they need to help local governments find funds for expensive infrastructure upgrades if they are going to become smart cities. 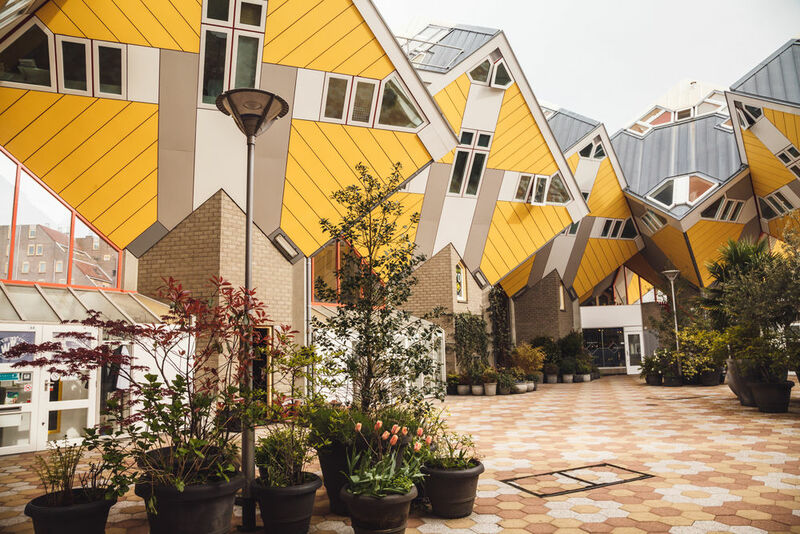 Technological fixes that save energy and cut pollution in cities could qualify for Commission funds designated for projects that meet EU energy efficiency or lowered emission goals. Funds set aside for smart city projects through the Horizon 2020 programme are earmarked to develop energy efficiency or low-emission transport systems. For other cities, expensive high-tech infrastructure remains out of reach. Smart streetlamps with internet-connected functions can cost up to around €8,000 each. Local governments have started showing interest in streetlamps because they are an easy starter technology before lawmakers commit to paying for even more expensive construction projects to rip up old infrastructure, according to several EU officials and industry sources working on smart cities. Lampposts are visible and easy for residents to understand. Governments are enticed by the prospect of lower energy bills if lamps with sensors and internet connection live up to their promise of being more efficient. Munich plans to install new streetlamps with Wifi connections to a city database, sensors and adaptive lighting features. For city planners there, replacing basic infrastructure with internet connection raises more issues than just money. Officials in Munich are grappling with the question of whether the city will own data produced by the lamps, or whether it will be handed over to lamp manufacturers or internet providers to analyse. “An important question for the future is ‘Who is the owner of the lamp and who can govern these things behind the lamp?’ Until now this is our mayor and I think it’s good like that,” Elisabeth Merk, a city planner working on Munich’s smart city developments, said earlier this month at a smart cities conference run by the Think Digital series in Brussels. The Commission has tried to come up with cost-saving measures as part of a bid to encourage cities to buy internet-connected streetlamps. Officials in the executive’s technology policy arm DG Connect have arranged meetings between city government officials from around Europe and companies that make the smart lamps, in a matchmaking effort that EU sources hope will convince firms to lower prices if groups of cities order in bulk. One Commission official working with city governments on the project said the price of up to €8,000 per lamp makes them much more expensive than regular street lighting. 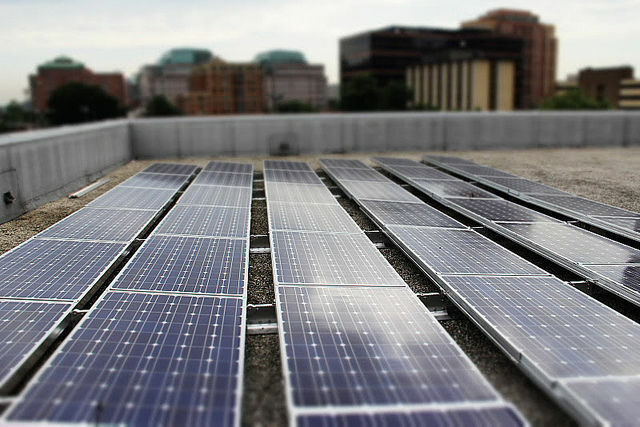 But local governments would stand to save on energy and maintenance costs within a decade, the official said, citing cost studies. Italy spends more on street lighting than any other EU country, totalling close to €1.7 billion in 2015, more than three times what Germany spent in the same year, according to Eurostat figures. The European Commission estimates that around three quarters of all streetlamps in Europe are at least 25 years old and require maintenance that adds on extra costs for cities. Lamps with internet connection could tell city workers when bulbs need to be replaced or if they need to be fixed. On average, city governments spend between 30 and 50% of their energy costs on street lighting. Those bills could be cut in half if cities transition to smart streetlamps with LED bulbs, according to research from the Commission-led group researching the technology. Another way European Commission officials want to coax cities into buying expensive smart streetlamps is to help them pitch the European Investment Bank for loans earmarked for energy efficiency infrastructure. EIB loans are generally reserved for bigger, more expensive projects of €25 million or more—beyond the price of a city’s streetlamps. But the executive is encouraging cities to club together and ask for bigger loans that they divide between their less expensive projects. City governments need to pinpoint a single borrower to tap money from the bank if they group their applications together. National banks can serve as go-betweens to vouch for EIB loans. One EIB official said countries with public banks, like Poland or Germany, might have it easier to apply for loans since public banks are more likely to finance public infrastructure like energy efficiency technologies. So far only a small part of the bank’s loans to cities have been used to fund energy infrastructure. The EIB started partnering with Belgian commercial bank Belfius in 2014 when Belfius took on a €200 million EIB loan and divided up the funds between digital energy, transport and infrastructure remodelling projects in cities around the country. Smart Cities? Our little village has LED Street lights in South Nottinghamshire, we have had them for a few years now they give a brighter “White” light than the Yellow glow from the old lights.